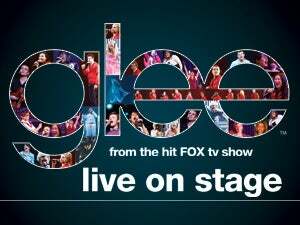 The hit show Glee comes to Sacramento on Monday, May 23rd at Arc…er…Power Balance Pavilion and we have two tickets to give away. Originally scheduled for Sunday, May 22nd (tickets are still being honored), the concert tour presents the cast of the show performing one hit song after the other. The live show is presented by Chevrolet, who is also running a trivia contest on Twitter for folks to have another chance at winning free tickets. So, if you’re interested, use the hash sign #sacragcontest on Twitter and let us know what Sacramento-based band’s song you like to see performed on the show. We’ll pick our favorite and let you know via Direct Message. While you’re at it, give us a follow @thesacrag. This contest will end at midnight today, Wednesday, May 18th, so get to twittering. Congrats to @YetAnotherSusan on winning the pair of tickets to the show. Her song choice along with her enthusiasm for the show were impossible to ignore. Two more tickets became available to us and we gave them to @textish for his suggestion of The Beast with Five Hands by the Groovie Ghoulies. Previous Previous post: And they’re off! Next Next post: Le SFFF, c’est magnifique!